The train is leaving the station, and you want to be on it when it goes. Granted, if the railroad doesn't go exactly where you want it to, you can always just buy a railroad and make it go where you want it to. And as a businessman or businesswoman, you'll want to invest in new technology, and even potentially your competitors, if it'll give you an advantage. 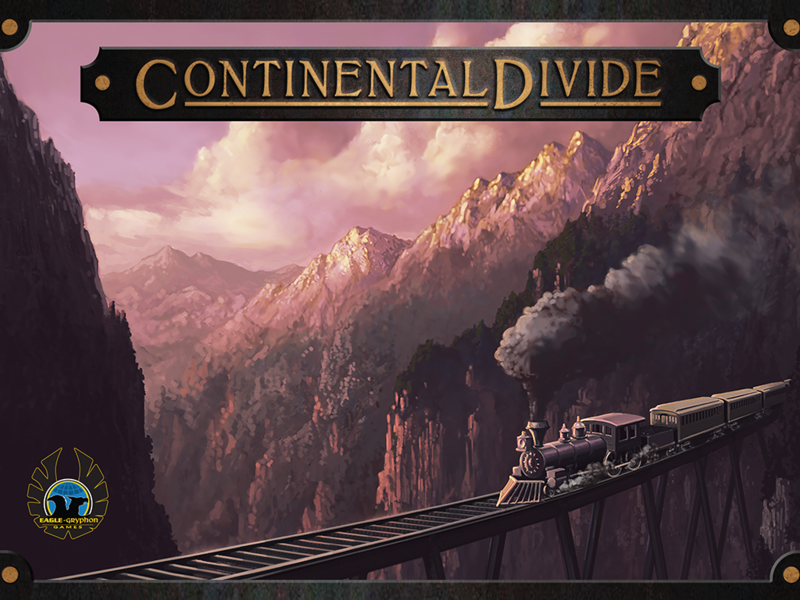 That's the idea behind Continental Divide, a new board game from Eagle Gryphon Games up on Kickstarter now. It's the end of the Civil War and an age of nearly unprecedented expansion is ready to take off as the West is crisscrossed by new rail lines. 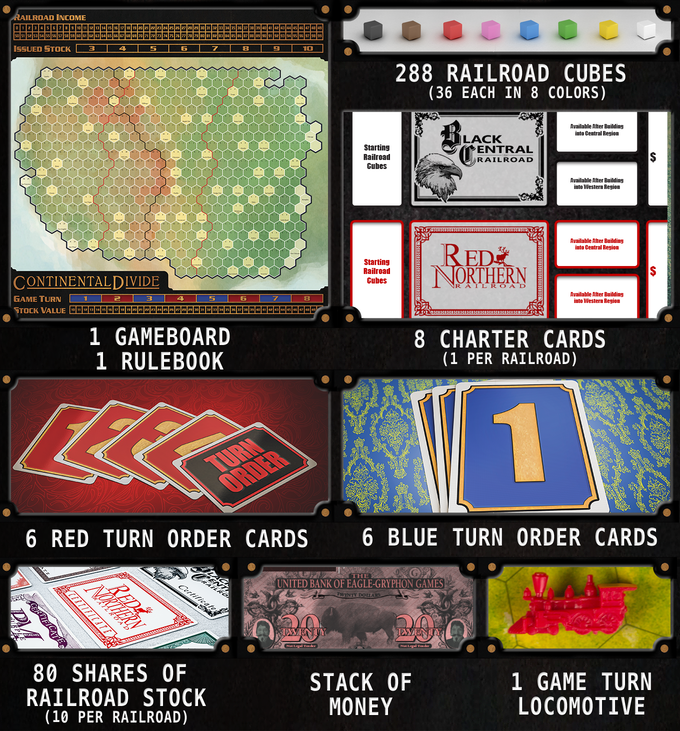 You're a new railroad baron and it's up to you to create the most profitable rail lines into this territory. Expand your various routes and invest in new technology in order to close the great continental divide (and end up with the most dividends!). The campaign is just over their funding goal, so it's on to steaming through stretch goals for the next 20 days.